Submitted by Dette_McLoughli... on Mon, 10/08/2015 - 20:23. Iraq: "A War Crime, Pure and Simple"
A dozen years after the US-led invasion of Iraq, that country, now effectively another Middle East failed state, remains a bloody, chaotic symbol of the failed US imperial project. "Mass Executions Terrorize Mosul; 141 Killed in Iraq"
"132 Killed across Iraq as Airstrikes Continue"
"At Least 4,693 Killed across Iraq in July"
"154 Killed in Iraq, including Dozens of Displaced Children"
"Mass Grave Unearthed in Mosul; 194 Killed across Iraq"
Submitted by Dette_McLoughli... on Wed, 28/01/2015 - 01:02. “American Sniper” lionizes the most despicable aspects of U.S. society—the gun culture, the blind adoration of the military, the belief that we have an innate right as a “Christian” nation to exterminate the “lesser breeds” of the earth, a grotesque hypermasculinity that banishes compassion and pity, a denial of inconvenient facts and historical truth, and a belittling of critical thinking and artistic expression. Many Americans, especially white Americans trapped in a stagnant economy and a dysfunctional political system, yearn for the supposed moral renewal and rigid, militarized control the movie venerates. These passions, if realized, will extinguish what is left of our now-anemic open society. The movie opens with a father and his young son hunting a deer. The boy shoots the animal, drops his rifle and runs to see his kill. “Yes, sir,” the boy answers. Submitted by Dette_McLoughli... on Tue, 18/03/2014 - 13:07. At the top of Shop Street, Galway this Wednesday 19th March at 12.45pm the Galway Alliance Against War will mark the 11th anniversary of the illegal Iraq War and the 9th week of Margaretta D'Arcy's imprisonment with a 45 minute silent protest. Ireland played a significant role (via Shannon airport and Irish airspace) in the unnecessary Iraq war. The people of Iraq to this day continue to suffer its legacy. In seven months of 2013 some twenty thousand people lost their lives as a result of the civil and sectarian divisions that were fomented because of the US and British invasion in 2003. Submitted by Dette_McLoughli... on Mon, 10/02/2014 - 01:01. Submitted by Dette_McLoughli... on Wed, 18/09/2013 - 03:46. 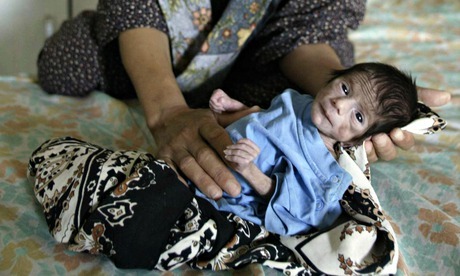 Depleted Uranium and other weapons have not only killed many civilians, but continue to result in the birth of deformed babies. author, Dr Keith Baverstock, as a senior radiation advisor. He alleges that it was deliberately suppressed, though this is denied by WHO. Almost nine years later, a joint WHO- Iraqi Ministry of Health Report on cancers and birth defect in Iraq was to be released in November 2012. Submitted by Jim_Roche1252 on Mon, 18/03/2013 - 16:48. Half of those questioned said they believed Blair deliberately set out to mislead the British public about the threat posed by weapons of mass destruction.